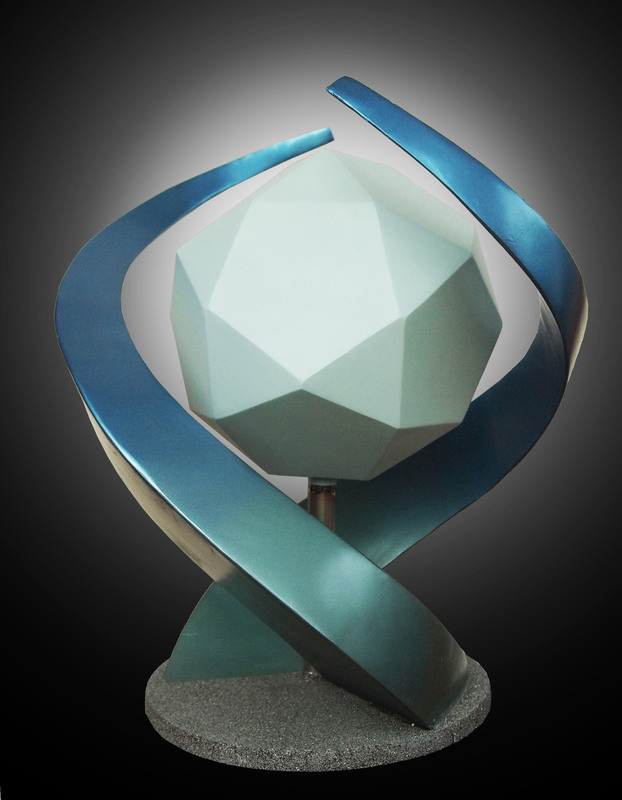 The icosidodecahedron was built with 1/8 inch steel to ensure the flatness of the surfaces. This project was conceived during the record setting hot Seattle summer days in 2009. 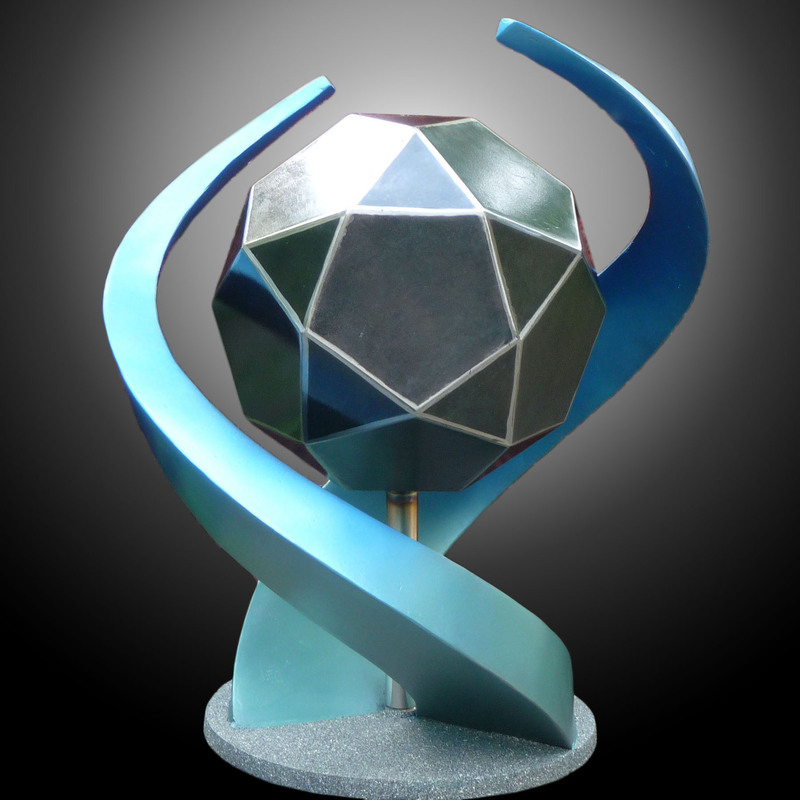 The original plan was to paint the two arms red orange to simulate the flames of summer with the center icosidodecahedron representing the “qi” swirling around in the heat. I finally decided on a bluish green tinge representing the cooling wind that swirls around and cooling it.